So with that in mind, I thought it well past time for SUP Racer to post an update on the ISA’s bold quest for Olympic acceptance, and their support for the development of stand up paddling in general. Just hours before I was to fly to Holland a few weeks ago (for that crazy race), I visited the ISA’s long-serving leader Fernando Aguerre at his palatial La Jolla residence – the guy founded Reef Sandals – that’s perched symbolically on the cliffs near a couple of SoCal’s most iconic beaches. We’re joined by the ISA Director General Liam Ferguson, who entered the Association just 12 months ago as its day-to-day CEO and jumped straight into the deep end as the Association ramped up its quest for surfing and SUP racing to be accepted into the Olympics. As I enter, Fernando, or El Presidente as some of us affectionately call him, greets us dressed in nothing but a pair of boardies and with a relaxed smile across his face. Soon I would realise why the guy, who’s famous for being full of energy and often wears bow ties matched to colourful suits and exotic hats, was in such a laidback mood. “This is my first day off in months.” says Fernando in his trademark Argentinian accent. Fernando has been on a whirlwind tour this year, lobbying around the world for surfing* to be given a chance to prove itself on the world’s biggest stage. He’s been doing this for years, ever since taking over as leader of the ISA in 1994, however 2015 has seen the quest reach new levels. In recent times the ISA has been trying to reach a pair of very ambitious targets: Getting surfing on the ticket for both the 2019 Pan American Games and the 2020 Olympic Games. Five decades since the ISA was founded, and just over twenty years since Fernando became president and ushered in a ‘wave’ of modernisation, the Association stands on the edge of mainstream acceptance. The Olympics are obviously the main goal, however the Pan Am Games would be a huge victory as well: It’s one of the world’s largest sporting events, and could also be a key stepping stone for a fringe sport like surfing to reach the Olympics proper. Well if the Pan Am Games really are a stepping stone, then Fernando and his team just hopped across the pond: Two months ago the ISA achieved what is surely its greatest victory to date, with surfing, and by extension stand up paddle racing, officially added to the schedule of events for the 2019 Pan American Games in Lima, Peru. This development, which was strongly hinted at during the Worlds in May but only became official on July 8th, cannot be understated. It’s a massive coup for the sport. As I look around the open expanse of Fernando’s mansion, including a breathtaking, uninterrupted view of the Pacific Ocean that I could stare at all day (how long can I drag out this interview, I wonder), the flamboyant and charismatic “Ambassador for Surfing” explains the fascinating process of strategising, lobbying and the whole intriguing world of the Olympic movement in general, something that’s largely hidden from a public that only sees the final results once every four years. It’s quite symbolic that Lima will host surfing’s first major “Games” appearance. The first ever ISA president, Eduardo Arena, hails from Peru, and the country was site of the famous 1965 surfing world championships. It was also the venue for the first ever ISA World Stand Up Paddle and Paddleboard Championship “way back” in 2012. Remember that? It was only three and a half years ago, but feels like an eternity, when Travis Grant and Jamie Mitchell famously sprinted up a pebbly beach for a one-two finish that signaled a near clean sweep for Team Australia. I remember chatting with Jamie after that event and the one thing he kept talking about was seeing the Olympic rings on the turning buoys (the first ISA Worlds were sponsored by the Peruvian Olympic Committee). However that’s a debate for another day, as there’s already too little room in this column to explain all the amazing behind-the-scenes goings-on that have occurred recently. While the Pan Am victory was a huge coup for the sport of surfing (the ISA’s events at Peru 2019 will almost certainly be shortboard surfing and stand up paddle racing, as well as potentially longboard surfing, though the final lineup hasn’t been decided yet), the ISA didn’t take its foot off the pedal for a second. Getting a sport into the Olympic Games is like climbing Mount Everest, and the summit is still a long way off. However I get the feeling that Fernando Aguerre won’t even think about descending to base camp until he’s taken a bow tie-wearing selfie on top of the mountain. So what exactly are our prospects of reaching the Olympics in five short years? A lot better than you might think. In fact we could know as soon as next week if the prospect is real, as changes to the International Olympic Committee (IOC)’s charter in the past two years have made SUP in the Olympics a far more realistic proposition. The short version: The path to Olympic acceptance has become much shorter and, in many ways, far easier to navigate since the Committee’s new president, Thomas Bach, took over in September 2013. Where once there was a virtual stone wall blocking new sports, now there are partially-open gates inviting a new generation of sports into one of the world’s most exclusive clubs. With the Olympic Games facing increased competition in the modern sporting world, where attention spans grow ever shorter and the choice of what to watch grows ever larger, the IOC knows it must adapt to avoid losing relevancy. That adaptation includes ushering in new events, particularly those that appeal to the all important youth demographic. Surfing, in its many forms, is an obvious candidate. 2015 ISA Worlds in Mexico, a precursor to the Olympics? 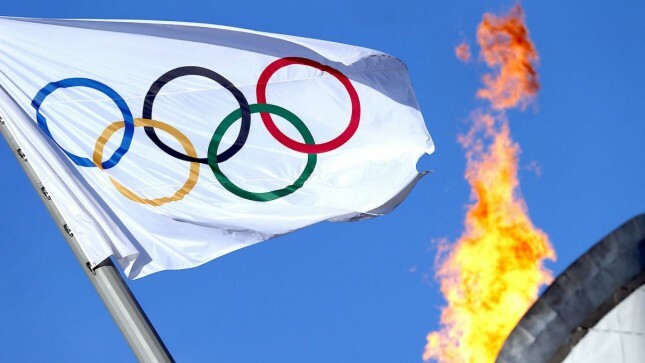 The movement to modernise the Olympic Games is known as the “Olympic Agenda 2020” roadmap, which was formally ratified last December at the IOC’s annual general meeting (or “Session”) in Monaco. Agenda 2020 calls for many changes to the IOC’s operations, though perhaps the most significant is the unique step the IOC has taken of allowing the 2020 host country, Japan, to nominate sports it would like to include on the program. In the past the IOC rarely opened the door to new events, but with “Agenda 2020” the Committee has loosened its rules and processes, which has allowed surfing to get one foot firmly wedged in the door. Out of 35 sporting federations that were eligible to apply for inclusion in the Tokyo Games, 26 submitted proposals, including the International Surfing Association. By the end of June that list was whittled down to an official shortlist of just eight: baseball/softball, bowling, karate, skateboarding, climbing, wushu, squash, and surfing. Any number of these eight federations could be included on the 2020 Olympic Games, which means Tokyo 2020 could be see the most radical change to the program in the Games’ modern history. Japan’s Olympic Committee will announce on Monday, September 28th which sports it recommends for 2020, with the IOC announcing the final lineup at its annual meeting in Rio next August. The IOC doesn’t have to accept Tokyo’s recommendations and will surely analyse any recommendations very closely between now and Rio, however it seems that getting Japan’s support is the biggest hurdle to overcome. 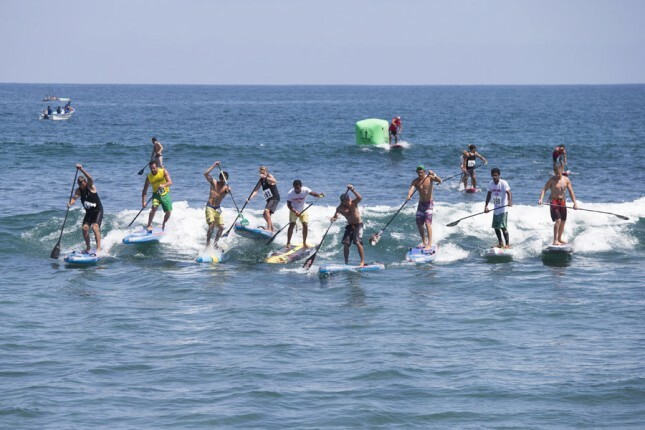 In other words: We could know as soon as next week if stand up paddling is on its way to becoming an Olympic sport. That’s huge. What seemed like a long shot only recently is now a genuine chance. This opening has been a monumental opportunity for fringe sports to jump the traditional queue and become part of the world’s largest sporting spectacle. 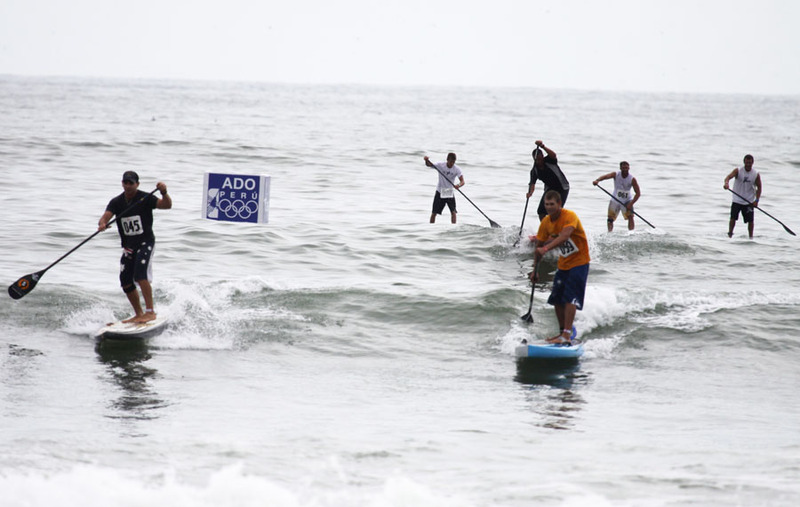 And with his trademark flamboyance and enthusiasm, El Presidente and his entire team have been working hard to get surfing and SUP to the front of the line. Even while it was busy dealing with the 2015 Worlds in Sayulita, the ISA was working full time on its “qualification” for the 2020 shortlist. “We knew the IOC wanted to add new sports but then things started moving very fast this year. We were told in early May that we had one month to submit a proposal, with Tokyo to decide in June which sports would be shortlisted. I got a little glimpse of this behind the scenes in Sayulita. On the one hand, the ISA was managing what was a logistically difficult World Championship event, while on the other it was creating a very detailed proposal that could be the key to unlock the golden door they’ve been trying to enter for years. The Association was essentially doing two extremely intense jobs at the same time. In June the hard work paid off, with the IOC announcing surfing as a shortlisted sport and inviting the ISA to present its case two months later. Fernando continues telling the amazing story of how it all played out. “We traveled to Japan for meetings with the Japan 2020 organisers on August 8th and 9th. Each of the eight sports had a meeting with the National Olympic Committee to basically convince the Japanese why we should be part of their Games. We had to be very thorough and detail everything from participation numbers around the world to potential venues, estimated exposure and so on. It was a little difficult at times because we had several interpreters, and sometimes things might get lost in translation. However I felt we were well prepared. Our team had worked hard on this for months, and as the one giving the presentation, I used my experience studying law in university to know how to make my case and defend my position. I press Fernando on what he thinks our chances are but he’s being very diplomatic. Much of what has happened over the past few months is confidential and cannot be released publicly. The whole “game” of getting a sport into the Olympics is a very sensitive one. Though if Japan 2020 does accept the ISA’s proposal, and in turn officially recommends to the IOC that it wants surfing (and SUP) as part of the 2020 Games, then Fernando believes we’re almost at the summit. The amazing stories Fernando relates make it clear the ISA has been doing far more work on behalf of the stand up paddling community than any of us inside the community actually realise. The Association has been working tirelessly to reach its Olympic goal and fulfill the “Duke’s Dream” – Fernando often refers to the legendary surfer, who, after winning gold in swimming at the 1912 Olympic Games in Stockholm, Sweden, called on the IOC to include the sport of surfing – and now stands on the doorstep of the world’s most important sporting arena. Are we ready though? Surfing still hasn’t proven itself in wave pools, which is an almost certain requirement for Olympic inclusion, while SUP racing has its own problems that need to be ironed out before its ready for the world stage. I would dearly love to wake up on September 28th and read the news of surfing being accepted, but we’re probably still only a 50/50 chance at best. But whether or not champagne is flowing at ISA headquarters next week, the Association should be hugely applauded for how much incredible work has been done. I get the sense that it’s no longer a question of if surfing and SUP reach the Olympics, but merely when. Fernando Aguerre, who receives no salary for his work at the ISA, is as passionate about the sport of surfing as anybody on the planet. But more importantly: He seems to know how to play the game of getting a sport into the Olympic games. If there’s anyone that can get surfing into the Games, it’s Fernando, along with his lieutenant Liam Ferguson, their Olympic advisors and the entire, hard working ISA team. I also believe this guy is a good standard bearer for one simple reason: He doesn’t do boring. Some paddlers suggest stand up paddling could just cosy up with the International Canoe Federation (ICF), which already has a seat at the Olympics, and compete in the rowing lanes where canoe and kayak sprint sprints are held. For me that would be the death of SUP racing. While “racing in lanes” has become an interesting novelty at a handful of events in recent years, promoting the highest level of our sport in this format would be a terrible choice for several reasons, chief among them that it’s just not very exciting. Lanes take away the best (and most exciting) elements of a SUP race: Mass starts, waves, buoy turns, and the slight destruction-derby nature of short course SUP racing. The ISA knows this and plans to make our sport as appealing to the masses as possible. It’s run by the guy that invented Miss Reef, after all. Though more importantly, I saw how eagerly the Association was canvassing athlete opinions back in Mexico, asking them how we could all make the sport more exciting and more inclusive. Out of those meetings formed an internal “Athletes Commission” that will provide a more regular link between the athletes and the ISA executive on key matters. Details of the Commission are still being ironed out, however it will most likely be headed by the ISA’s honourary vice president and resident viking, Casper Steinfath. 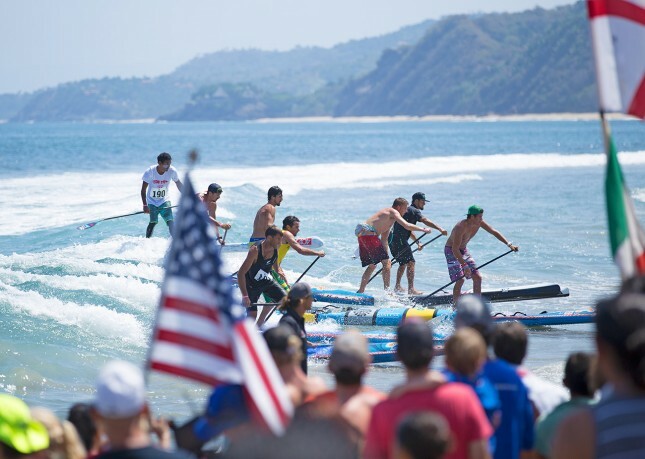 The International Surfing Association has come a long way in recent years, and has positioned itself as a genuine authority for the sport of stand up paddling. Yes, the Association still has issues to overcome, some of its own doing but many it simply inherited from a dysfunctional community: It needs to fix the format and a few other niggles that afflict its annual World Championship event; The apathy and/or infighting of the national governing bodies (NGBs) in charge of sending teams to the Worlds is damaging; Deciding whether or not it wants to show leadership on fractious issues such as board classes, race rules and the various other problems that are causing tension and holding our sport back is a key question. But no sport is ever perfect: If we wait until everything is lined up nice and neat before making an Olympic push, we’ll never get there. The International Surfing Association has been hiking up from base camp towards the top of Mount Everest for decades. Now it’s finally reached high altitude and is trekking along the final stretches. Next week, September 28th, we’ll find out if the summit is within reach. But even if we have to wait another four years, the prospect of standing on the peak is real and the momentum seems unstoppable. Correction: An earlier version of this article stated the decision by the JOC, about which sports it recommends for inclusion in the 2020 Games, would be announced on September 30th. The decision will be announced on Monday September 28th, during a press conference in Tokyo that begins 6:15pm local time.